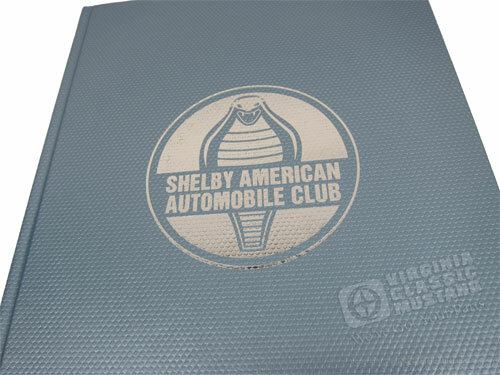 The latest edition of the Shelby American Automobile Club’s (SAAC) World Registry, dedicated to 1965-1966-1967 Shelbys, is now available. It is our part number LT58, and you can order it by clicking here. 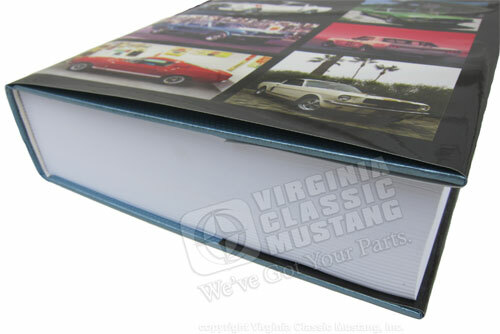 Printed in hardcover, and 1,350 pages thick, this book has the serial number and individual history of every Shelby Mustang built in 1965, 1966 and 1967. Also included are separate, detailed chapters on competition cars, prototypes, drag cars, unique models and Shelby-built Trans-Am notchbacks. There are chapters on Shelby values, how to buy a Shelby, fakes and frauds, the Carroll Shelby School of High Performance Driving, the Terlingua Racing Team and much more. 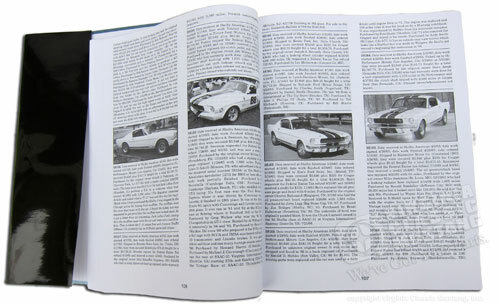 Appendix pages include paint codes, stripe dimensions, serial number locations, a list of mechanical components, explanation of DSO codes and a glossary of terms unique to these cars. But wait! There’s more! A list of every unique part for each year Shelby, a specification page for each separate model, factory technical service bulletins, homologation papers, accurate production figures, production statistics and an index of past owners. The club’s registrars: Howard Pardee (1965-66), Greg Kolasa (Hertz), Dave Mathews (1967) and Gary Underwood (Trans-Am notchbacks) have contributed information, including individual histories on each car, from their voluminous files. The foreword was written by Chuck Cantwell, Shelby American’s GT350 Project Engineer. 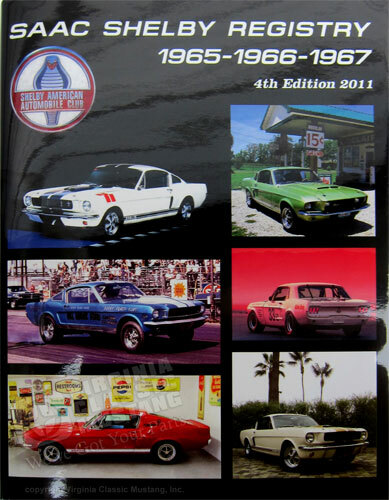 If you own a Shelby Mustang, are thinking about buying one, or just love the cars, you absolutely have to have one of these books!